During food controls in Incoming Goods, you regularly check the temperature of your goods. The testo 826-T4 penetration infrared thermometer allows for quick temperature scans, by means of infrared measurement, without damaging the products. 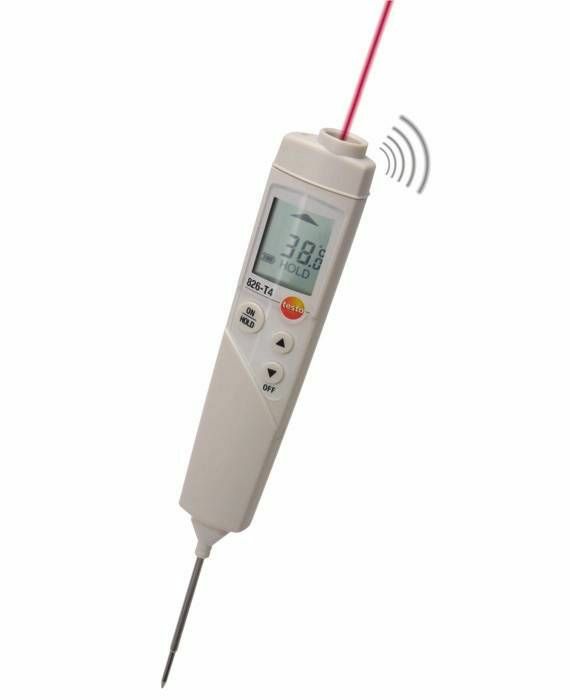 If temperature limit values are exceeded, the permanently attached penetration probe can be used to take accurate core temperature measurements (in yogurts, for example). 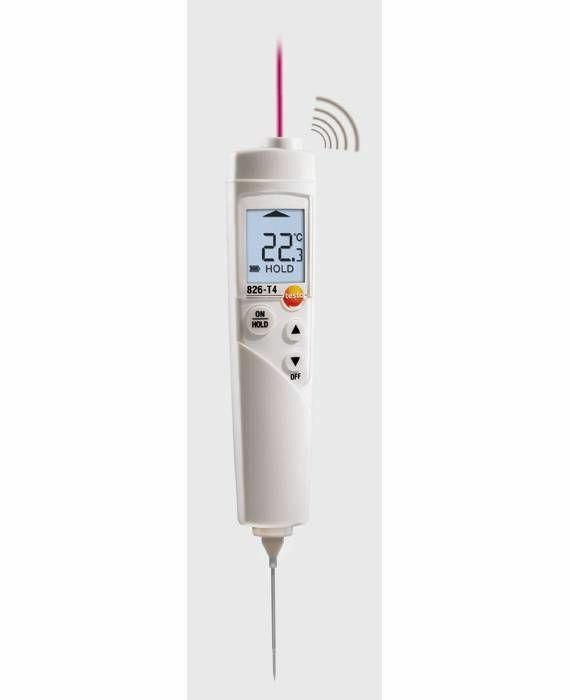 testo 826-T4 is the top model from the testo 826 series. In addition to the above-mentioned benefits of testo 826-T3, testo 826-T4 also has a laser sighting and a reliable audible alarm.